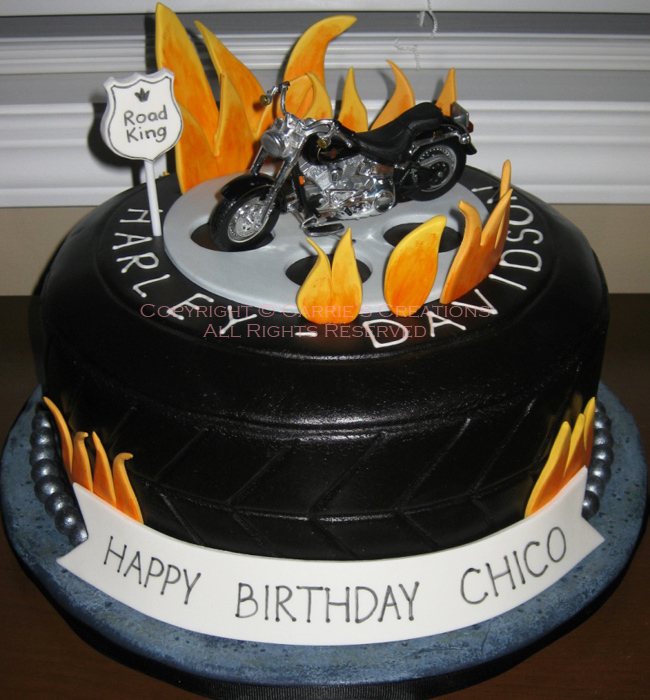 This past Tuesday, event planner Solmaz from Dress It Up Inc. (solmaz@dressitupinc.com), called me because her client wanted to know if I could make a carved motorcycle cake... for this Saturday! What?! Less than a week's notice? I had to decline because that was not enough time to design, plan, and execute (I prefer 4 weeks lead time for carved cakes). So, the client settled on a replication of an image she found online. I've made some changes to make it my own, and it turned out great. And I hope the client likes it, too! The cake was vanilla with vanilla Swiss meringue buttercream filling, covered in dark chocolate ganache, then topped with chocolate marshmallow fondant (which was also used to make the silver pearls). 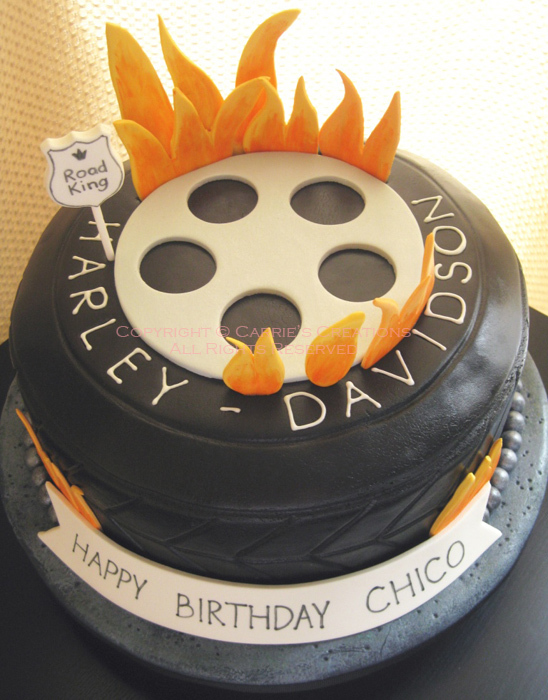 The cake board was covered in normal store-bought fondant and was made to imitate asphalt. I was happy that this order was completed in three days (only possible because my schedule was free and the design was not super complex). Anyway, you'd think I'd make my own birthday cake. Well, I planned to, but didn't have enough time to design and execute it, so it was easier to make desserts instead with the free pockets of time (and unlazy moments) I had. I made chocomint brownies in honour of James' birthday (his is 10 days before mine) since he loves them. I was supposed to make his cake in conjunction with mine, but since I scrapped the idea of making my cake, he didn't get one, too. The brownies were baked in mini muffin pans and were topped with milk chocolate. 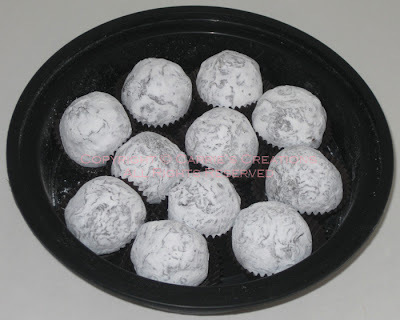 The next things were chocolate cake balls. It's chocolate sour cream cake mixed with vanilla Swiss meringue buttercream icing, dipped in dark chocolate, then rolled in icing sugar. 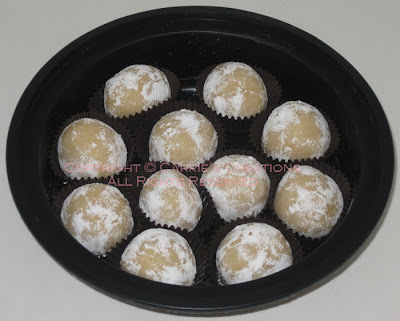 This was basically a sugar bomb! I also made vanilla cake balls. It's just vanilla sour cream cake with Swiss meringue buttercream icing, rolled in icing sugar. 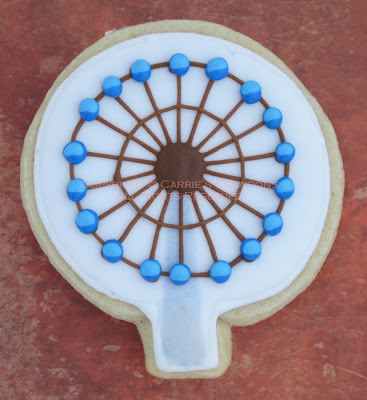 Of course, there had to be some sort of cookie. I made the popular oatmeal chocolate chip. I didn't put as much oatmeal, so it didn't spread as much. It was chewy and not too crisp on the outside. 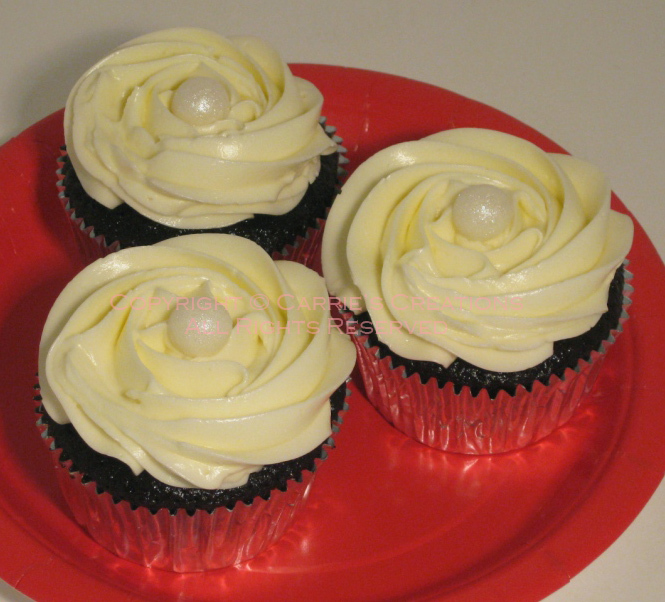 Lastly, I made chocolate banana cupcakes with vanilla Swiss meringue buttercream icing. Super moist cake with smooth icing - how can you go wrong? 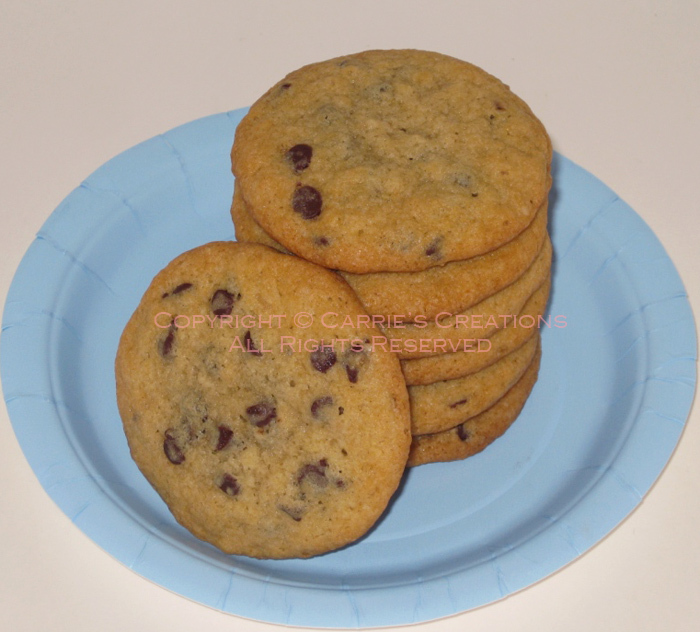 I brought these treats to the beach (not knowing that guests were at our house instead) but, later, they were also enjoyed by the party guests. Thanks to all that were able to take part in this big milestone with me, and to those who couldn't make it but passed on the birthday greetings. An even bigger thanks to my hubby, James, for keeping me in the dark so I could be surprised. I love you, but I will get you back for the coin game, just you wait. No, I don't have anything on Batman. It's his sidekick, Robin! 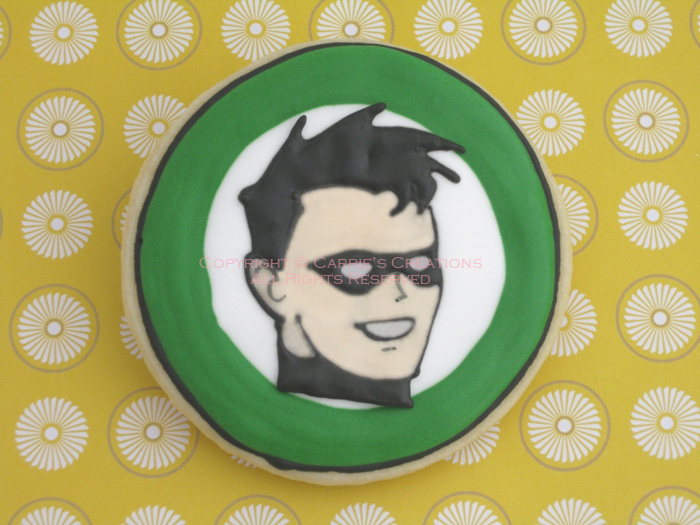 I had a request for superhero cookies, and Robin was the lucky guy. 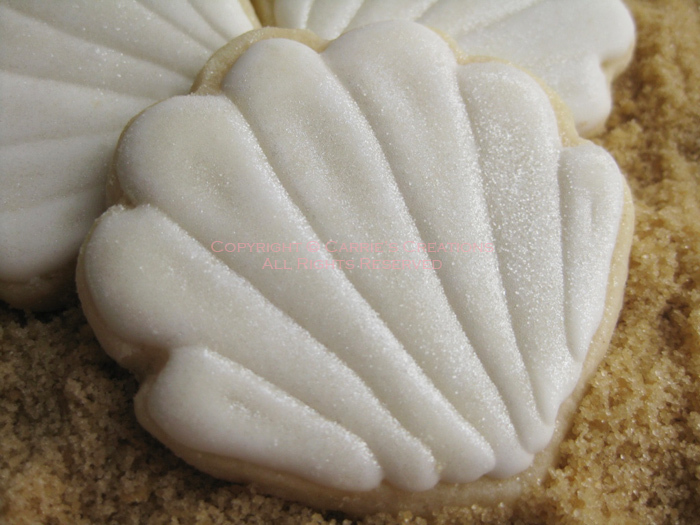 He's a royal icing transfer on top of a flooded cookie. I have a couple of belated items that didn't get posted at the time of making it. These were made to accompany the wedding cake photo shoot. 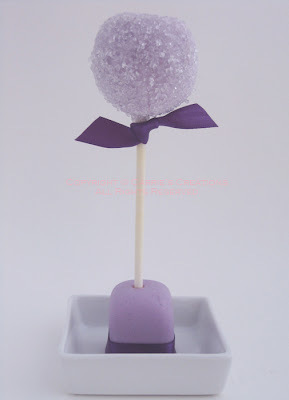 The cake pop is about 2" in diameter and the 2" shell cookies were hand-cut. 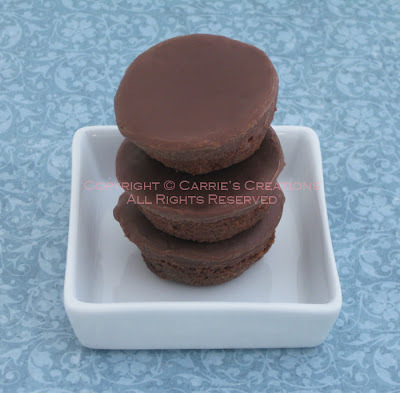 Did I mention that my website (www.carriescreations.ca) is up and running? You can view my creations in the gallery and see what I offer for services. Blog link is still there, so you can always see what's new. 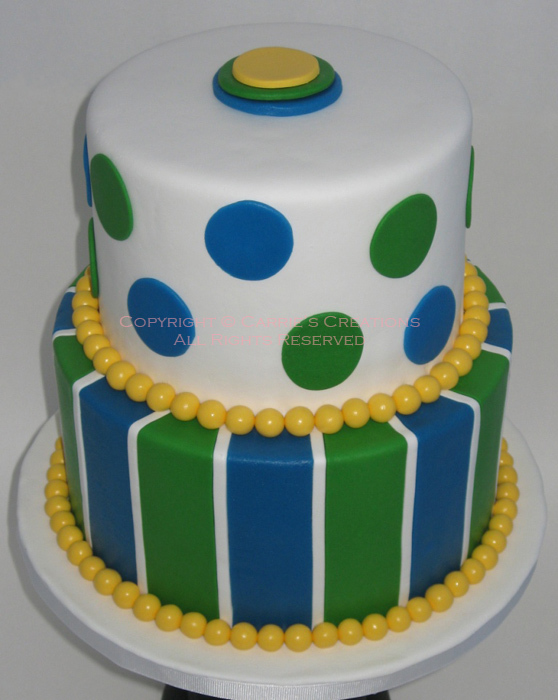 Here is an order for carnival-themed items for a 5th birthday party (for 60 guests!). At first, the request was for Ferris wheel cookies (the little seats were 2-toned blue and raised). Anyone have any tips on how to pipe a perfect circle? I had a request to make a cake for a 3-year-old. The inspiration came from the e-vite (I was a guest at the party, as well)... so, I had fondant ladybugs, green and teal fondant stripes, and a quilted red fondant cake board. The cake was chocolate filled with dark chocolate ganache (this little girl loved her chocolate). 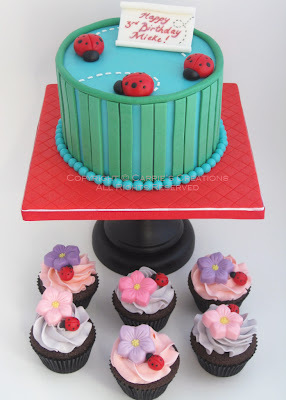 In addition, she liked pink and purple flowers... they got translated into chocolate form, along with mini fondant ladybugs, to top pink- or purple-coloured Swiss meringue buttercream icing over chocolate cupcakes (they were used as thank you favours). This cake was nice and simple and cute! 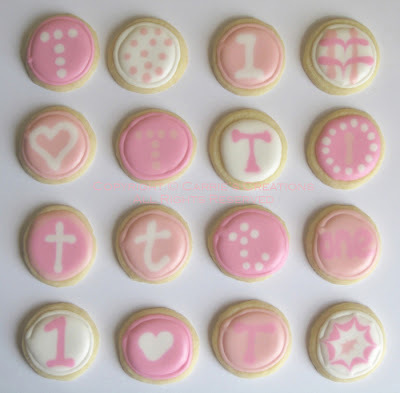 The white trail marks were individually cut fondant pieces! 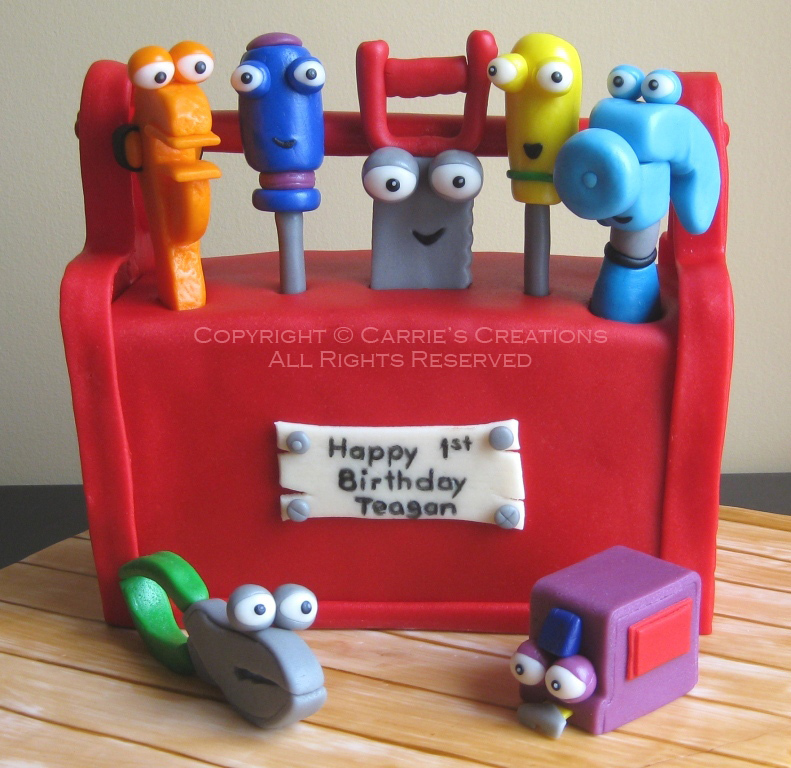 Here's a cake for a one-year-old who LOVES Handy Manny. For reference, her mom let me borrow the toy toolbox and tools. All the characters were made from fondant + Gumtex, but they were still soft (which means lots of skewers for support). I actually made the bottom parts of the figures, but didn't take any photos before putting them into the cake. The cake itself is vanilla with vanilla Swiss meringue buttercream filling, then covered with dark chocolate ganache before layering on black cherry marshmallow fondant. The box is a little high (3 layers cake + 2 layers icing) because I wanted to use up all the cake.